I can’t even begin to tell you how on-the-fence I was when I heard that they were bringing Cassell’s back. For the uninitiated, Cassell’s Hamburgers was a legendary burger shop that originated in Koreatown in the late 1940s. My mother used to take me to Cassell’s after school when I was a kid for what was then considered one of the best burgers in Los Angeles. After changing ownership some time in the early aughts (and moving away for college), the Cassell’s brand eventually saw its demise just a couple of years after founder Al Cassell’s passing. In late 2014, Cassell’s new owners (who also own The Hotel Normandie) opened up shop just a couple of blocks away from its original locale. Mixed reviews made me nervous. While I was certain that the burgers just would never taste the same, I reserved some hope that its legacy would be preserved after hearing that Short Order’s Christian Page would be in charge of the kitchen; utilizing not only Cassell’s original grill & grinder, but the recipes, too. The Verdict? This is not the Cassell’s that I grew up with, but the quality of food coming out of this revival would definitely get Al’s stamp of approval. The space is bright and welcoming, the menu simple. Prices may be a little steeper than one would expect for a K-town burger joint, but considering the quality of ingredients (grass-fed beef, McConnell’s ice cream in the shakes, etc. ), you’d be hard-pressed to make a burger and shake like this for less at home. I respected their decision to be a no-fry zone (Al would have wanted it that way), but deeply appreciated their house-made potato chips. 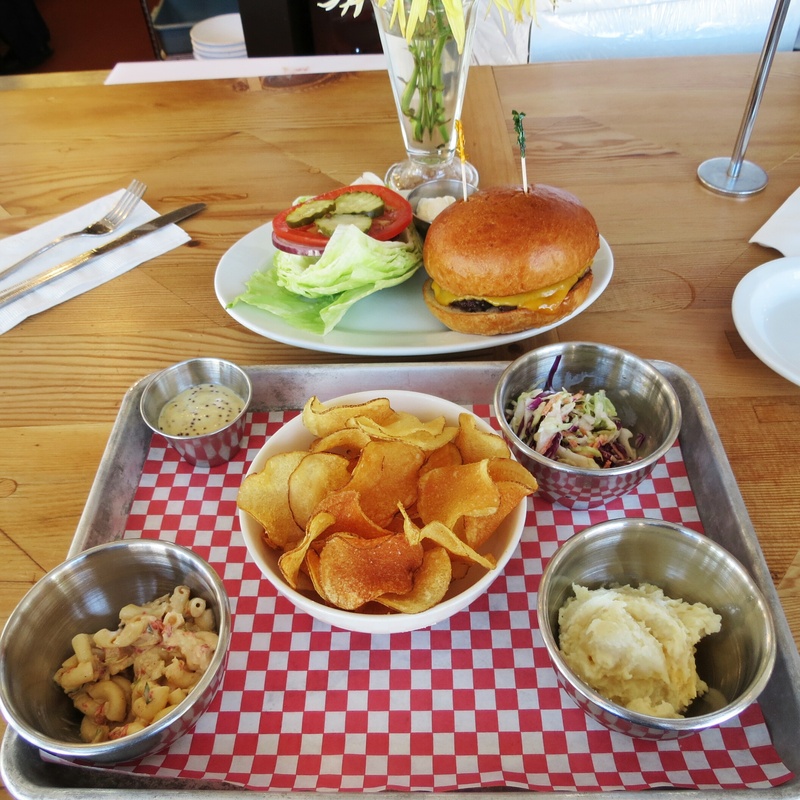 If the sticker-shock of a $12 1/3lb burger is still gnawing at you, you should also know that each meal comes with a complimentary side sampler featuring a small portion of their cole slaw, macaroni salad, chips, and their famed potato salad. A much-needed dose of throwback in an ever-changing sector of LA. Cassell’s Hamburgers is located at 3600 W. 6th Street, Los Angeles, CA.